The popularity of the Wheeled Tractor has soared considerably high when the farmers realized the great implications of the tractor and the advantages it showed in tractor driven farming. In North America, tractors are being used widely in agricultural farms and even outside the farms for different purposes. The farm tractors are used to pull or push the farming machinery used to plow, till, disk and harrow the agricultural land. They provide high torque at very low speeds. Due to this very reason the wheel tractor machinery market is thriving in the North American region. Tractors are being used for both farming and non-farming purposes. However, it is primarily used extensively for tiling the land. This has led to a major increase in demand for the wheeled tractors, owing to the rise in market value. Few other factors like growing demand in food and the government providing support like subsidies for farming purchases has proved to aid this market majorly. ●	On the basis of design: the tractors are classified as two and four wheeled machines. ●	On the basis of function: the tractors can be classified into implement carrier, garden tractor, earth moving tractor, row crop tractors, utility tractors, industrial tractors, rotatory tillers, orchard tractors, etc. The largest share in this market belongs to the Orchard, Utility and Row crop tractors as they are the most extensively used around the world. 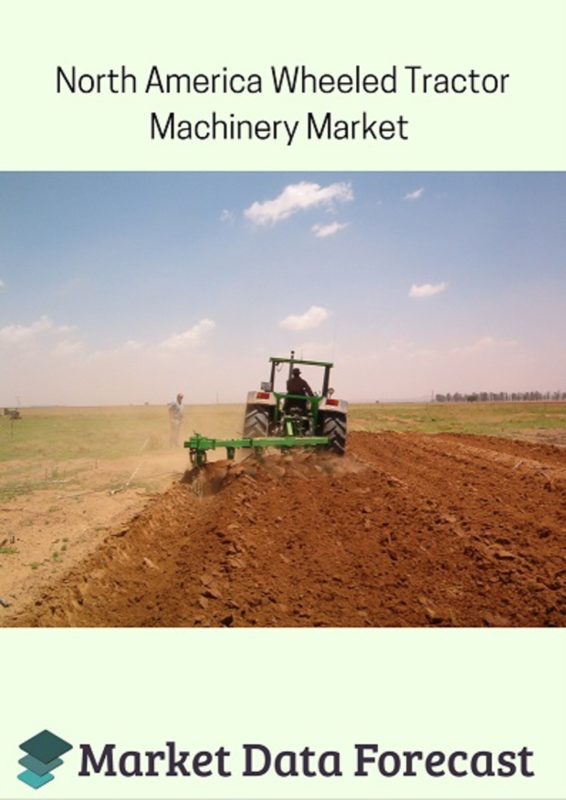 The North America Wheeled Tractor Machinery Market is expected to reach USD 11.48 billion from USD 8.69 billion, while growing at a CAGR of 5.74% during the forecast period from 2016 to 2021. As agriculture and farming constitute and contribute to major part of the economy, the wheeled tractors machinery market is thriving in the North American region. Mahindra & Mahindra, Deere and Company, Massey Ferguson, Farmtrac Tractor, Escorts, Foton Loval, Goldani, Kukje, Lindner, L S Mtron, VST Shakti, Machinery and Industrial group NV, Shibaura, AGCO tractor, CNH Global NV, Tractorul UTB and VST Tillers are known to be few of the thriving companies in the North American wheeled tractor machinery market.